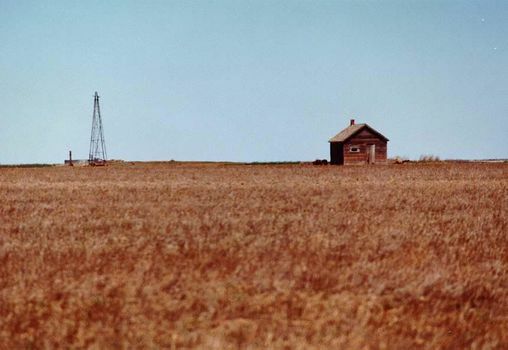 Paradoxical as it may seem, the Great Plains is the most powerful of all American regions. 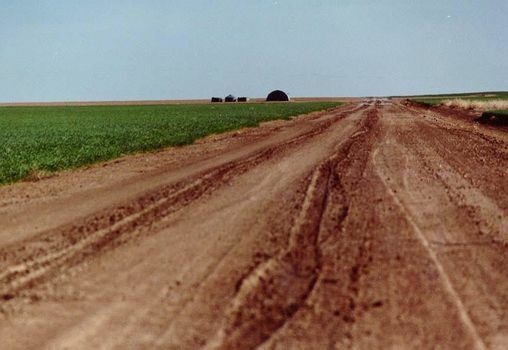 It's not just the oceanic scale: it's also the rough ride the Plains give to residents. People get on board--build towns, lay out fields, plan lives. 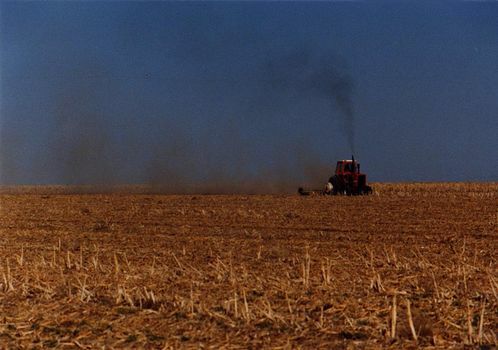 Then the Great Plains hit those people with droughts, erosion, and an agricultural technology that needs less and less labor. What then? 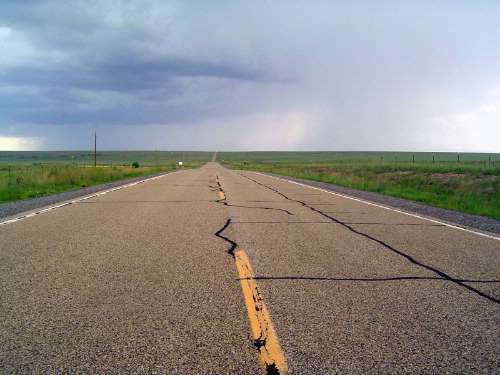 Looking west on New Mexico S.H. 104, perhaps a dozen miles short of Las Vegas (the N.M. Vegas, please). It's a great place to stop, so long as you don't have car trouble. 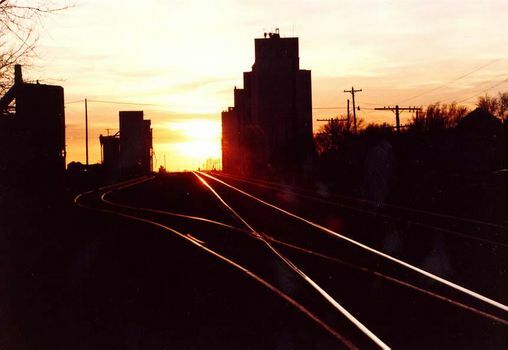 Grain elevators along the tracks at Tribune, Kansas. 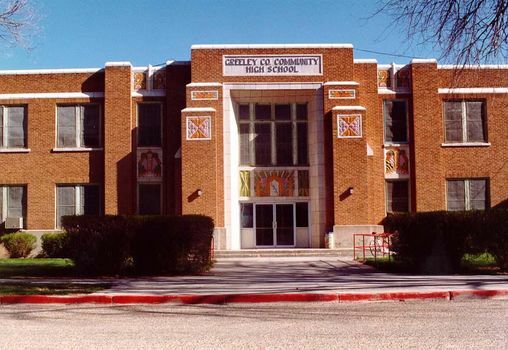 The town is named for Horace Greeley's newspaper. The local county is named for Horace himself. Starting a new season north of Tribune. 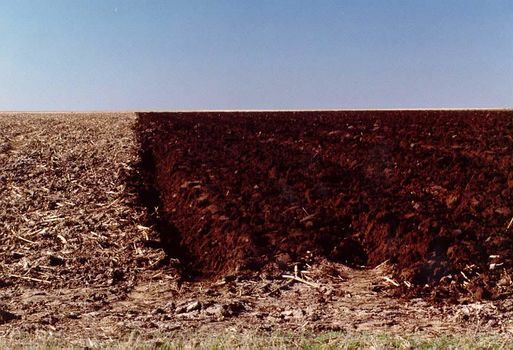 This is the flattest part of the Great Plains. Tractor at work, dust on the move. 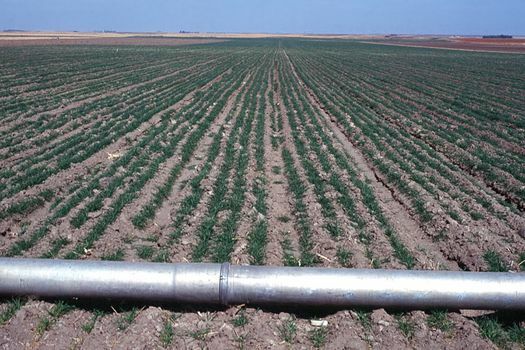 A winter wheat crop resumes its spring growth. 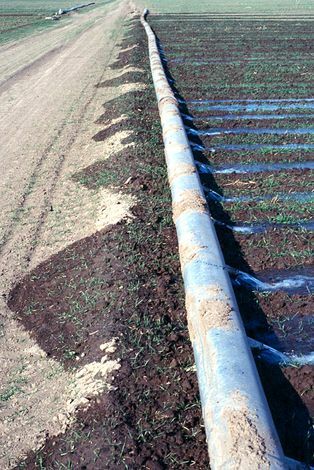 The secret of success: irrigation water, here about to flow through gated pipe. Voila. It's probably groundwater. The supply is finite. And then? 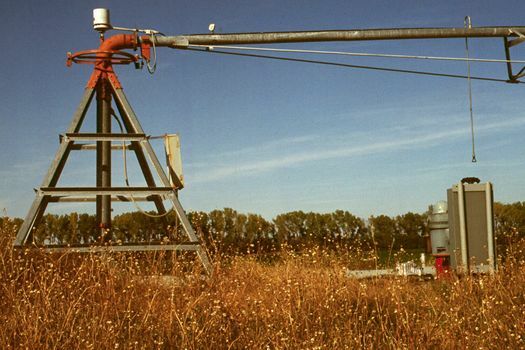 A more expensive solution: center-pivot irrigation, here at the pivot. Note the drop-line sprinkler, that thin pipe hanging down at the right. It's more efficient than heroic, high-pressure sprinklers. Note, too, that very little water comes from it, because this end moves slowly. Out on the other end, the discharge per minute is much greater. In the background, you can see the electric pump that mines water (that's the correct word: "mines") from the Ogallala formation and pushes it through the sprinkler. 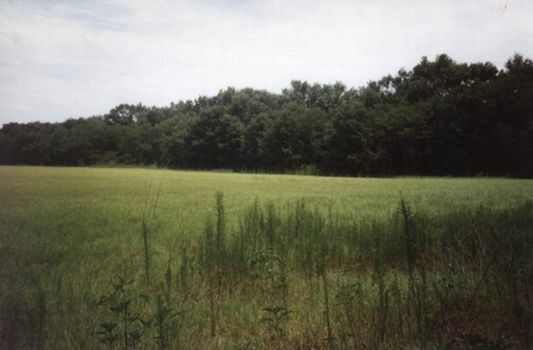 One of the classic responses to soil erosion was tree planting in the form of shelterbelts. 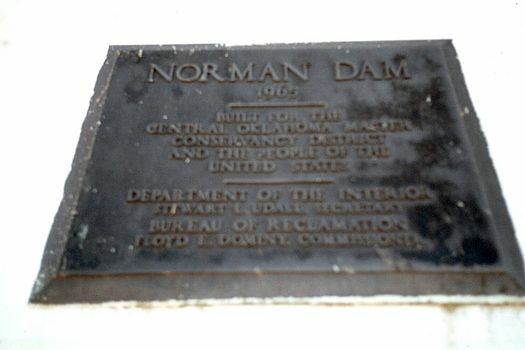 Here's reputedly the nation's first one, near Hobart, Oklahoma. 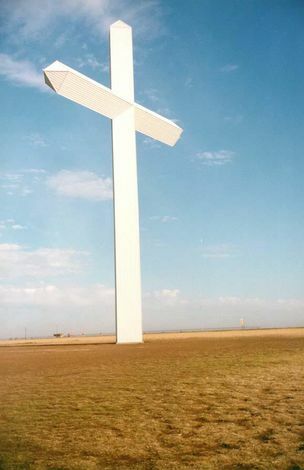 People out here have generally found it useful to pray and to encourage others to pray, in this case with the towering cross on Interstate 40 near Grimes, east of Amarillo. It's metal and hollow. Still, the population of the Great Plains continues to declin. Farms need fewer and fewer people, and what else is there except energy production and privately owned prisons? Not to underestimate those, of course.